Black Mountain is everything you would expect of a world-class golf resort. Not only is the championship course acknowledged as being one of the best in Asia, it is the only course in Thailand ever named in Golf Digest's Top 100 Courses Outside the US. Here you will experience golf at its very best in a wonderful setting, with sweeping vistas from almost every hole, a challenging yet highly enjoyable design and tour-standard conditioning. 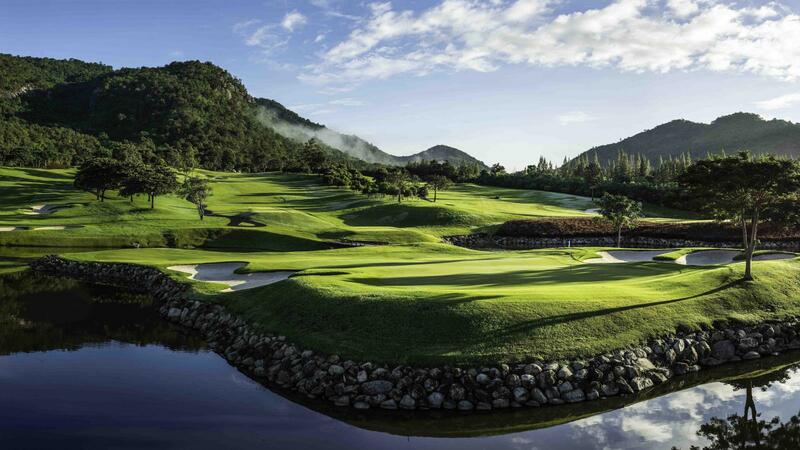 Since opening in 2007, Black Mountain has hosted three Asian Tour events, including the 2014 King's Cup held in January, and has won a string of international awards, including best course in Thailand for the past three years in a row. The par-3 course may be the best you will ever play. Set in a natural valley, there is water on every hole - requiring precise shotmaking and concentration, just as you need on a full-length course! Outstanding service, the most modern carts and electric buggies available - yes, you can walk the course if you wish - first-class practice facilities and a modern clubhouse overlooking the course make Black Mountain a golf experience you will long remember.